Stephanie Pecht grew up near Chicago, Illinois. She earned her undergraduate degree with a double major in Communication Sciences and Disorders and Spanish from Augustana College in Illinois. She earned a Masters of Arts in Speech-Language Pathology from Louisiana State University. 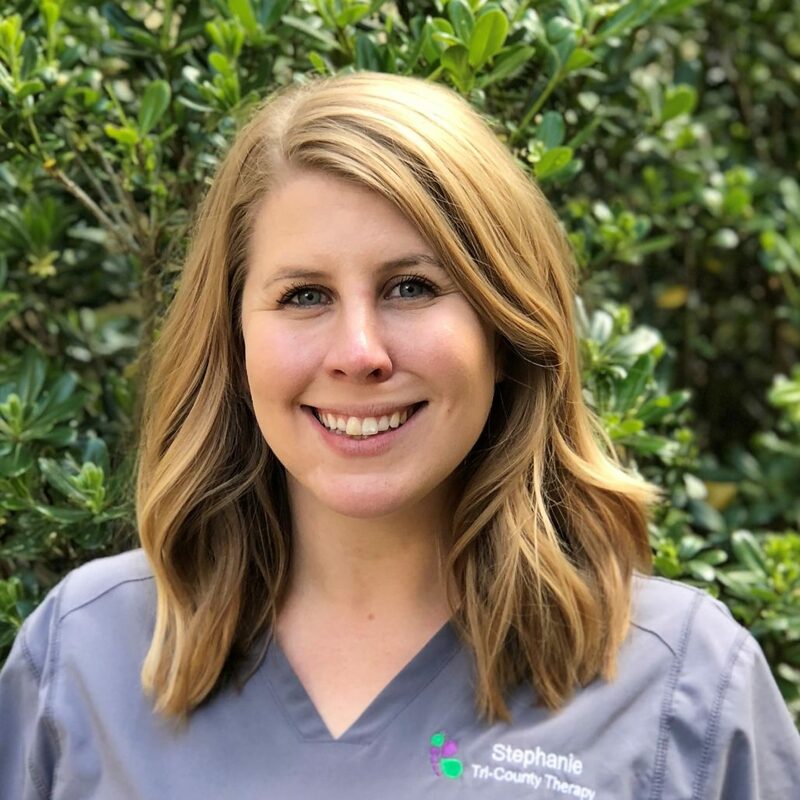 Stephanie is certified by the American Speech-Language-Hearing Association (ASHA) and is licensed by the South Carolina Board of Examiners in Speech-Language Pathology and Audiology. Stephanie has experience in a variety of settings, including: therapeutic day school, clinic, and hospital. Prior to joining TCT, Stephanie was a school-based SLP in a therapeutic day school for children with Autism. She has clinical experience in both pediatric and adult speech, communication, AAC, and feeding. Stephanie is PECS Level 1 certified, which is a form of augmentative and alternative communication utilizing picture exchange. Though she enjoys working with all children, Stephanie has a special interest in working with children with Autism, AAC needs, language delays and Apraxia of Speech. Stephanie truly loves her work as an SLP and is passionate about providing services for children and their families. In her spare time, Stephanie enjoys running, yoga, reading, and exploring Charleston.